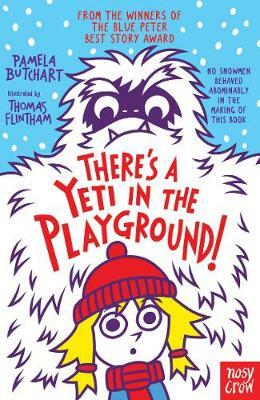 This year our Winter Mini Challenge is inspired by the hilarious new book There’s a Yeti in the Playground! by Pamela Butchart and Thomas Flintham. Press play for a special sneak preview from Pamela and her baby yeti! Izzy and friends are excited! The snow is falling fast and they’re hoping they’ll all be sent home early. And that’s when they know! There’s a YETI in the playground and it’s HUNGRY!